Presenting a complete kit for creating beverage product design. 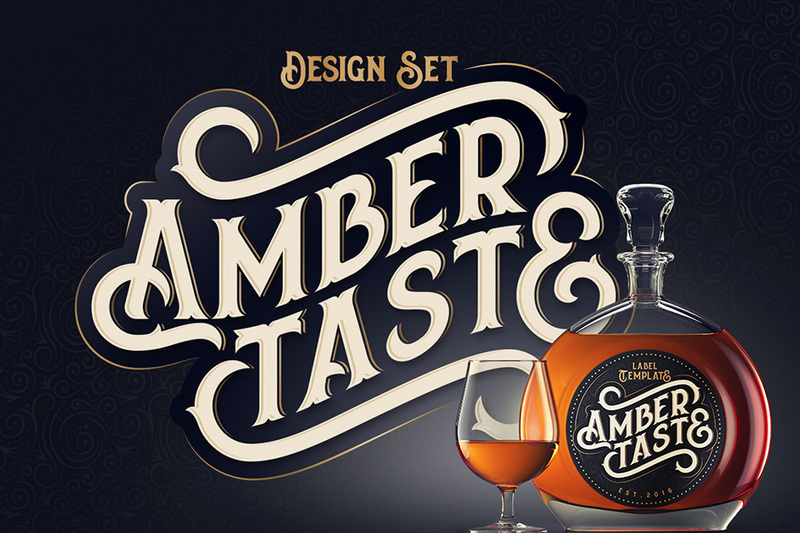 It includes a vintage decorative font, a vector label template and a high-quality 3D render of a brandy bottle mockup. Software compatibility: Adobe Photoshop and Illustrator 10 and newer. .EPS files will work with a variety of programs such as Adobe Photoshop or Illustrator, Sketch, InkScape, Affinity, Corel Draw, etc. File size is approx 24.4MB (46.2MB unzipped), offered as a single download.